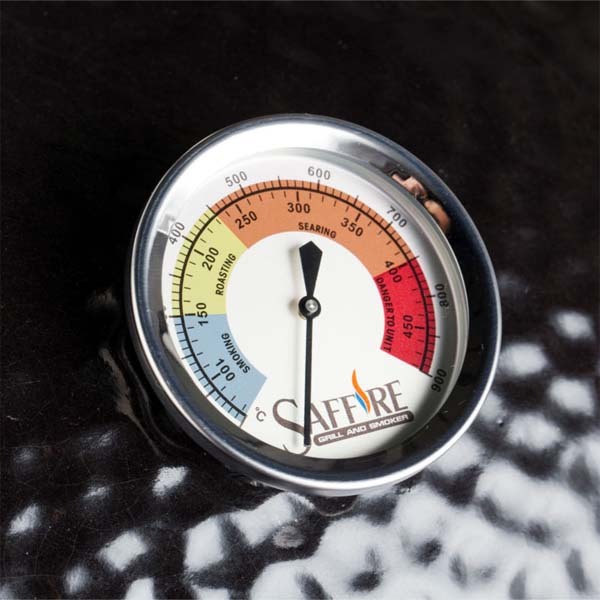 Saffire XL Bronze 23" Grill With Cart by Saffire Grill Co. 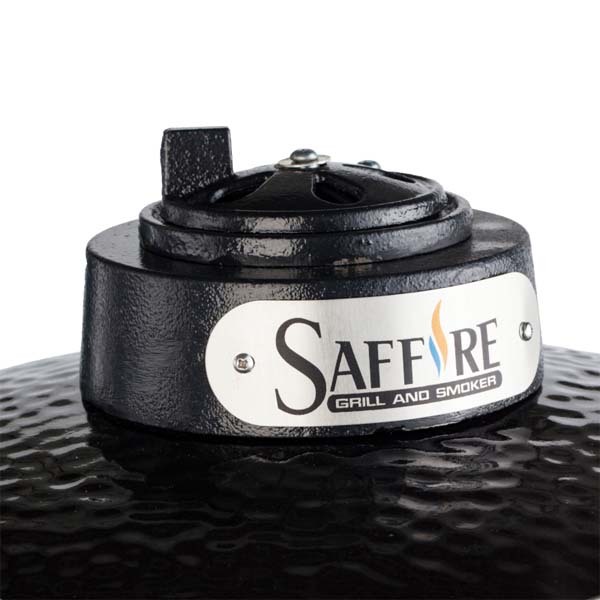 The Saffire XL 23" Bronze Grill offers all the features of Saffire's Platinum Series while utilizing powder coated steel hardware and a cast iron top air control. 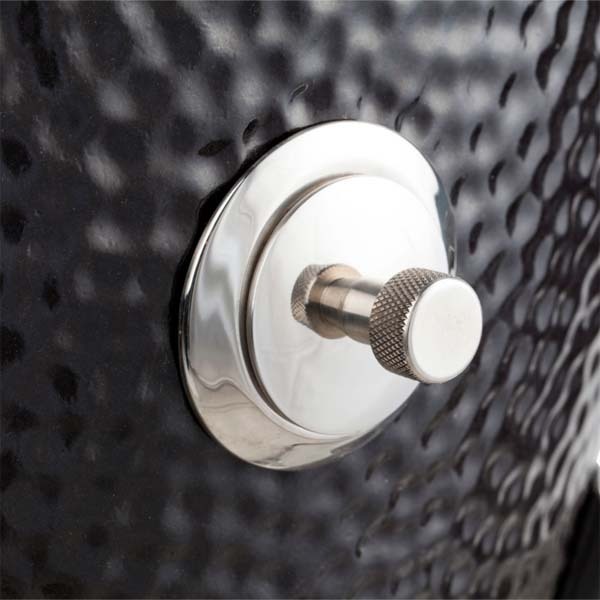 This allows for an agreeably lower price point, while still offering all the elements that keep Saffire at the top of the line. 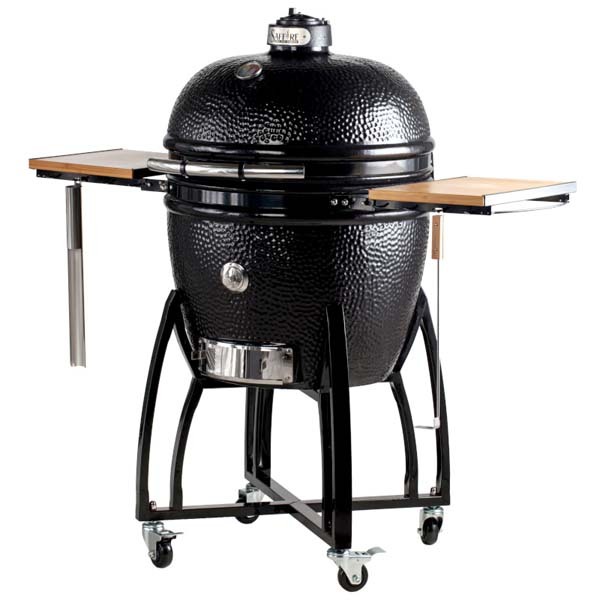 The XL 23" Bronze Grill features an enlarged dome for increased cooking area and offers Saffire's Crucible Firebox, which may be the greatest advancement in charcoal grill durability, ease of use and effortless cleaning. 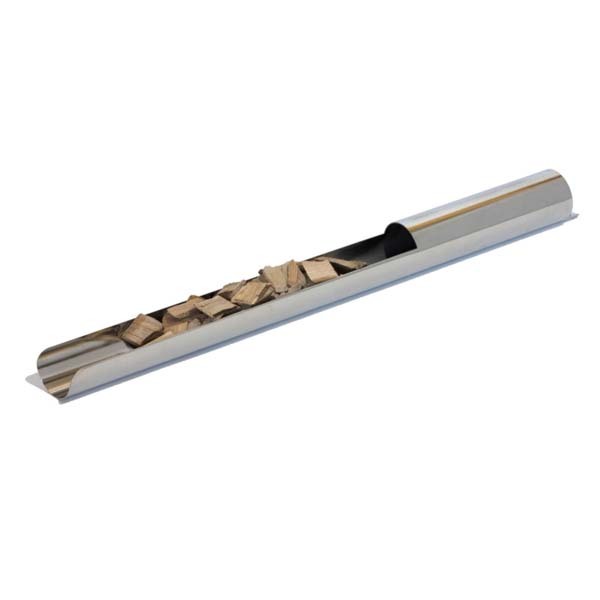 It comes with a stainless steel cart with solid bamboo shelves. 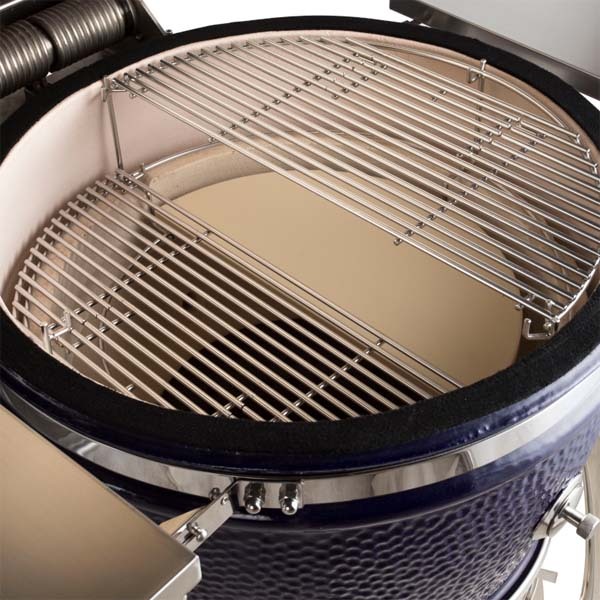 It has a fantastic grill package, including a multi-level cooking rack, two-piece ceramic heat deflector, secondary cooking grid, and Saffire's Ash Cleaning Tool and Smokin' Chip Feeder. 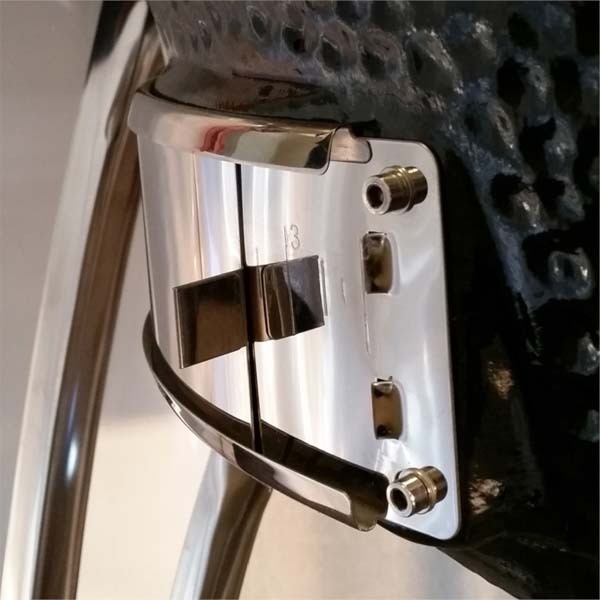 The XL 23" Bronze comes in classic black, and offers a lifetime warranty on the ceramics and a 7-year warranty on the hardware and cart!! Dimensions L40" x W40" x H45"